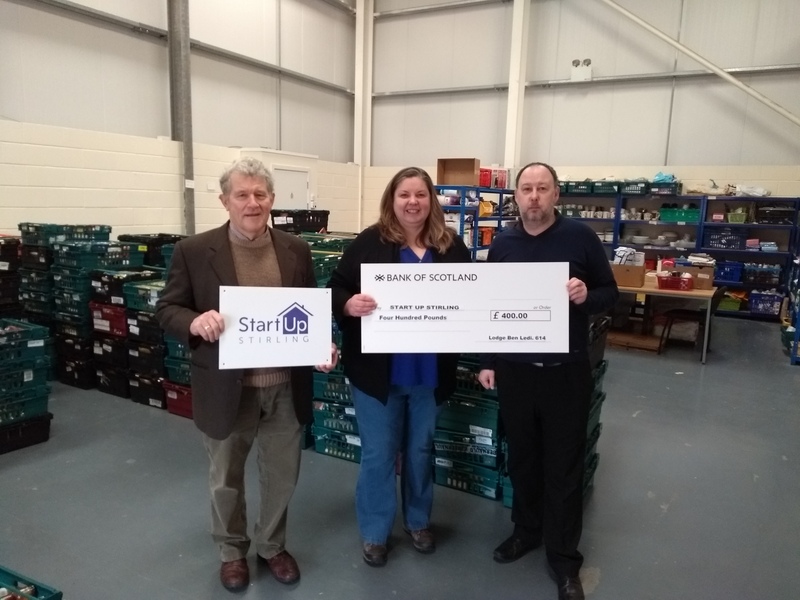 Linda and Jamie were delighted to meet with Malcolm McNaughton and Craig Watson from the Lodge Ben Ledi in Callander who have been fundraising and collecting food for Start Up Stirling. They very generously donated 46kg of goods and a cheque for £400. We would like to express our sincere thanks to all those who supported this collection as this will go towards our work in and around Callander.